Globe to Globe: Shakespeare’s coming home! It’s coming home, it’s coming home, Football’s Shakespeare’s coming home! 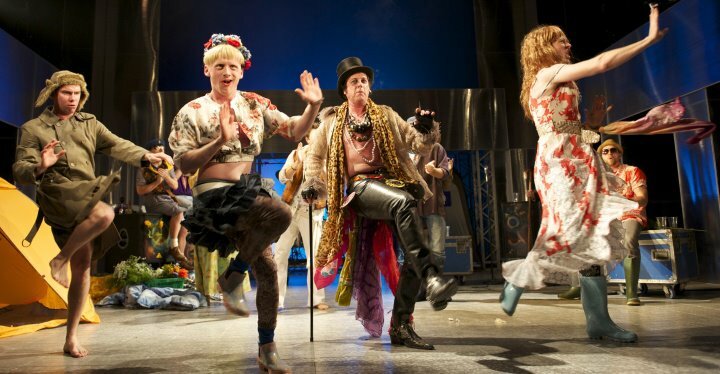 As part of the activities around the Cultural Olympiad in the run-up to the London Olympics, the RSC and Shakespeare’s Globe are hosting the World Shakespeare Festival. It’s one of those rare occasions when both companies acknowledge that Shakespeare exists significantly beyond these shores, with the RSC inviting or commissioning productions from major companies across the globe to perform in Stratford, and with the Globe putting on the highly ambitious Globe to Globe festival in which, during the course of about eight weeks, they will host 37 plays in 37 languages from Juba Arabic to Mandarin AND Cantonese Chinese to British Sign Language. The tagline of the Globe’s festival is ‘Shakespeare’s Coming Home’, in a nod to Britpop culture and Skinner and Baddiel/Three Lions’s Euro ’96 football anthem – which basically concludes that everywhere else is now better at football than ‘us’. This is very, very funny, of course, but I imagine that the irony will be completely lost on anyone from anywhere else and it will be (mis? )read as an Anglocentric claim to the ownership of Shakespeare! It’s only in recent years that Anglo-American scholarship has caught onto several hundred years of Shakespeare’s reconfiguration ‘outside’ of the UK/US tradition and it has been at times a painful realisation of ‘our’ continuing imperialising frame of mind in relation to who is the proprietor of culture. Just look at those terms – ‘outside’ and ‘our’ make presumptions about the centre and the periphery or ‘them’ and ‘us’ that if we fully unpack are deeply problematic. Dennis Kennedy’s Foreign Shakespeare, coming just three years after the fall of the Berlin Wall, grew from his interest in the interplay between European scenography and ideology. Collecting together a range of essays which explored primarily Western and Eastern European appropriations, it noted that this was only part of the story, pointing further East for future scholarship. Many collections have since put forward post-colonial perspectives. Then, as the People’s Republic of China has come increasingly into focus for the Western world, so has what it’s done with Shakespeare, explored through the deeply personal work of Li Ruru in Shashabiya: Staging Shakespeare in China and a more masculine tome in the style of the western academy in Alex C Y Huang’s Chinese Shakespeares. 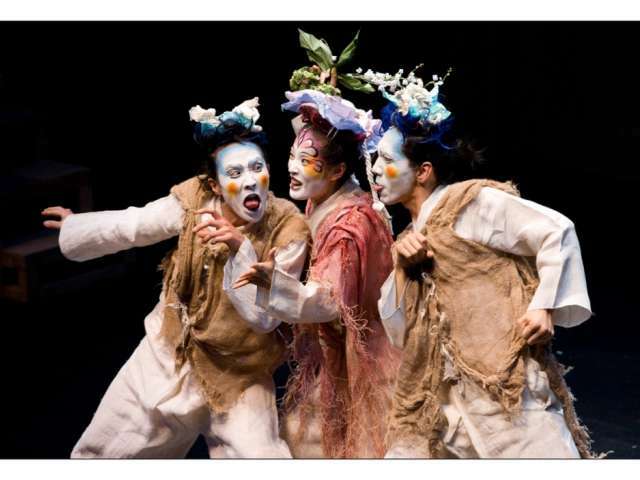 Huang’s book also deals with Chinese Shakespeares beyond the Mainland. As the Western focus shifts again in universities and festivals, Margaret Litvin’s Hamlet’s Arab Journey is more than timely (See also her blog Shakespeare in the Arab World) The work of Li, Huang and Litvin all combine scholarly innovation and integrity with lively storytelling, which is primarily why their monographs have attracted the attention of scholars and practitioners. Their sites of interest also correspond with the zeitgeist, however. Nicoleta Cinpoes’s excellent Hamlet in Romania is not anywhere near as well-known, arriving 20 years too late, perhaps. However, the city of Craiova in Western Romania doesn’t need to host the Olympics to puts on an international Shakespeare Festival. It does this every two years, bringing major productions from as far afield as Japan, the US, Germany and China to its city’s theatre. I’ve already attended three Globe Study Days, It is the East, which explored the ‘use’of Shakespeare in the societies of three very different, but significant, concepts of the East to a Western mind. 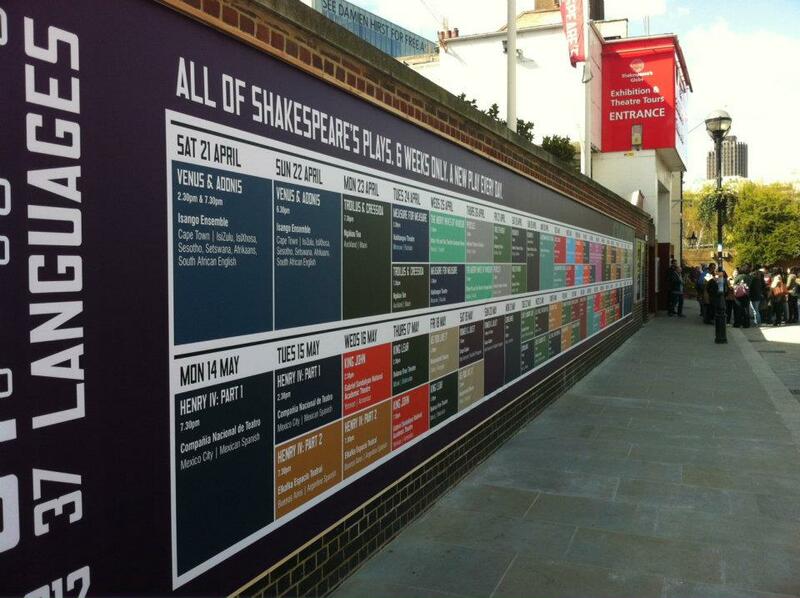 The Globe is and always has been more politicized than the RSC at some levels and what is implicit in this particular series is that Shakespeare – the national Bard, the only author who has to be taught as part of the national curriculum, the icon of Western culture – belongs to the West’s cultural and ideological Other. These will be explored further in my next post. 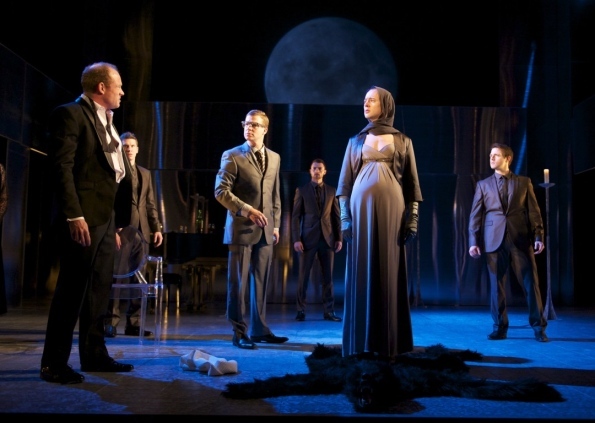 The Winter’s Tale directed by Edward Hall and performed by Propeller at the Sheffield Lyceum, 4th February 2012. My blogging time these days is largely taken up with adding transcripts and rough drafts to my private PhD blog in preparation for meeting with my Thesis Advisory Panel at the end of the summer term. Thus, current posts here are likely to be both brief and belated. However, I really would be missing a trick if I failed to mention the recent production of The Winter’s Tale by Propeller. Of course, it’s not intercultural, but as with Shakesqueer, I will allow myself some leeway in my blog theme by redefining the word trans-cultural to include trans-gender/cross-gender approaches. I had heard much about this all-male company, who resist traditional travesti performance codes by neither fully inhabiting ‘femaleness’ nor by playing the (pantomime) dame. This is not to say that there is no element of drag: even (especially) without make-up or wigs, the men’s female clothing acts to re-emphasise their maleness, be it baldness or beer-gut. However, by acting into the words, not the ‘parts’, gender – which at the outset of the performance dominates the audience’s attention in a very simplistic way – becomes increasingly problematised. At one level, it is an irrelevance, whilst paradoxically, at another it is intensified. Let me try to explain what I mean through example. Hermione, played by the shorn-headed Richard Dempsey, replete with the bulging womb of a pregnant man, is both female and male. Standing shoulder to shoulder with his wife, Leontes’ (Robert Hands’) perverse imaginings reflect back on himself, transforming the misogynistic field of his verbal abuse into one of sexual self-loathing. Likewise, when Hermione goes on trial, in what has become the familiar performance garb of a woman who has had her child hauled from her bloody loins, the now-blunted shock of this image is sharpened through simple defamiliarisation. Dempsey, with a man’s (the guard’s?) oversized overcoat thrown over his rags, recalls an inmate of a concentration camp, stripped of all identifying features. His (her) defence is not that of a woman against a man’s tyranny, but against tyranny itself in Sicilia. Vince Leigh’s rugby-player Paulina stands a head above all the male courtiers and speaks half an octave lower, his/her physical dominance matched by the verbal. Ben Allen’s roles are complex: the pyjama’d man-boy Mamillius, who opens the play bewitched by a trickle of sand, becomes Time holding an hourglass, becomes Perdita, the echo of Mamillius in a dress. In Bohemia, nothing is as it seems, and in this production the doubleness of this apparently bucolic paradise is doubly emphasised – and quite hilariously. The all singing, all dancing sheep are cross-dressing men in wooly wigs and miniskirts (if my memory serves me correctly), Camillo and Polixenes infiltrate the Glastonbury Sheep-Shearing Fest as Arkela and Brown Owl, and I’m really not sure whether Autolycus is Tom Jones or Alice Cooper. Richard Dempsey returns as Dorcas, this time in lipstick and golden tresses and festival wellies. And this time he really is transformed into a rather attractive and convincing woman, but this in itself, in the context of this company and this production, ensures that we never forget that he really isn’t. However, if you ask me, Perdita and Florizel really are two boys in love, adding a whole new level of transgression to their already transgressive* relationship. Except the transgression is not on the stage but in the eyes of the spectators. By focussing on gender representation (or non-representation), I have of course only engaged with one facet of this production. However, it seems to me that companies like Propeller and Two Gents Productions (coming soon!) are bringing an immediacy to Shakespeare through crossing gender boundaries in the same way that transcultured productions are actually bringing Shakespeare home. *Re-reading this in 2018 after seeing Ben Allen in Antony and Cleopatra at the Barbican has made me realise how normalised our queer lives have become in a relatively short space of time.